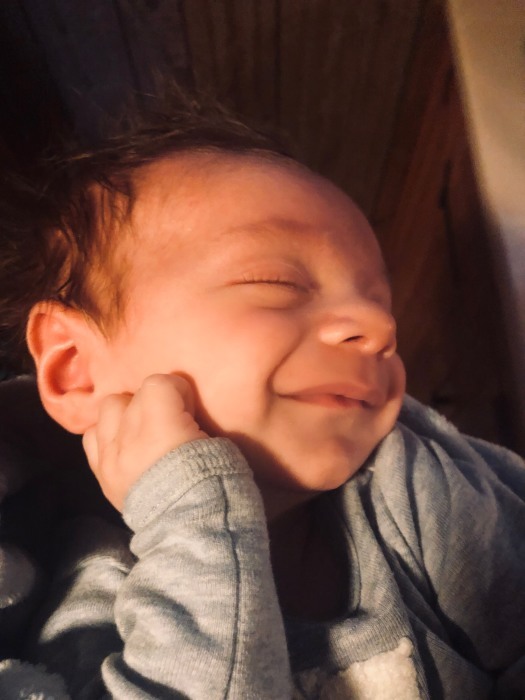 Marcus James Tripodes, of Lovell River Drive passed away unexpectedly on Monday, March 18, 2019 at the age of two months. Marcus was born on January 7, 2019, in Dover, NH. He was a beautiful baby boy who brought great joy to his family! He will be forever missed by his mother Jaclyne R. McKinnon and his sister Bralynne Dube as well as his maternal grandparents Marc McKinnon and Barbara McKinnon and his father Michael Tripodes. He is also survived by his Godmother Jaimee Bergeron. There were no calling hours. Funeral services were held at the First Congregational Church of Ossipee on Wednesday, March 27, 2019. Burial will be in Grant Hill Cemetery, Center Ossipee, NH later in the spring.